This has been a very busy week in terms of autism rights and there have been a number of incidents which demonstrate very clearly that people with autism are not being treated with the respect that they deserve. History is full of stories of groups of individuals who were victimized for physical, economic, social or theological characteristics and while we still have a long way to go, constantly pointing out these issues has proven to be the best way to make progress towards an all-inclusive society. Autism is yet another of these groups but it's still in infancy. At this point, we're still fighting for acceptance and the concept of true equality hasn't really been considered. It's important for us to continue to point out oversights and to correct thinking patterns which can whenever they arise. 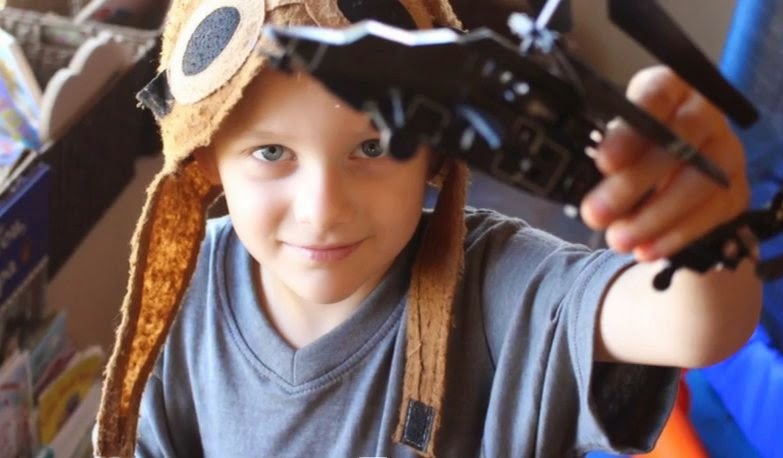 Last week, London McCabe, a six year old with autism who "loved hats, loved his parents, and was ‘all smiles'." was thrown from the Yaquina Bay Bridge in Newport by his mother. It's not the first time that a parent has murdered their child and it won't be the last however our reactions to this event may well help to encourage or discourage copycats. On the one hand, there are many people calling for more support for parents (a good thing) and making excuses for his mother Jillian (a bad thing). On the other hand, there are people referring to this as a murder and campaigning for justice (a good thing) and rights for people with autism (also a good thing). Sure, we'd all like to be empathetic and see the world for the shades of grey that it is but unfortunately to do so is to miscarry justice and to encourage more parents to harm their children. Sometimes you just have to carry justice swiftly and harshly for the greater good. London McCabe joins a long list of children with autism who were murdered by parents or caregivers; Rylan Rochester (6 months), Alex Spourdalakis (14), Robert Robinson (16), Kenneth Holmes (12), Jude Mirra (8), Daniel Corby (4), Benjamin Barnhard (13), George Hodgins (22), Randle Barrow (8) and Katherine McCarron (4). May they rest in peace. 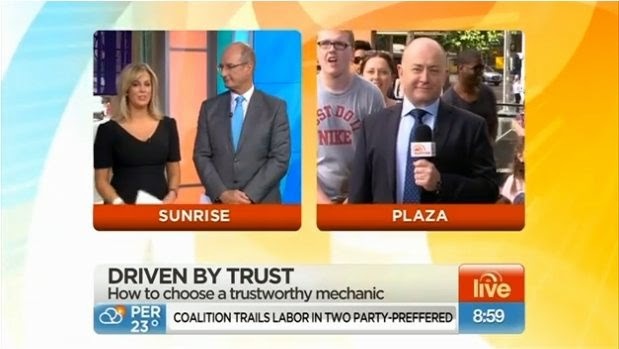 Like many news services around the world today, Australia has a morning television news in Sydney which interacts quite a bit with the general public. There was a report from a mother this week who took her teenage son with autism to see the news being filmed. "I think we've got one shonk on your left shoulder. Give him a quick whack and tell him to nick off you idiot". The video of the event appeared in the sunrise news feed but was quickly removed. Thanks to the anonymous reader who found it again. It can be seen here, with the first appearance of the boy with autism at 1.40 and David's comment coming in at about 1.57. To my knowledge, no apologies were offered. This was too good not to share (I love Doctor Who after all). Current Doctor Peter Capaldi took time out from his busy schedule to record a special message for Thomas, a nine year old boy with autism who had just lost his grandmother. It's a very good message, pitched at exactly the right level and with a lot of care and concern. The young man's presence was a bit distracting, but why on Earth these two knuckleheads had to call further attention to him, I've no idea. I was so sad when I heard about London McCabe. I do feel like sometimes parents (whether their kids have autism or not) can become mentally unbalanced and do something they wouldn't otherwise... such as a woman in my state many years ago who had horrid postpartum depression but wasn't allowed by her husband to get help, and she ended up killing all 5 of her children. With London's story, though, I almost felt like there was something else going on... there was something more sinister about his mother. I feel like it didn't necessarily have to do with his autism, as much as it had to do with her mental health in general. Either way, it is awful. Children should be able to trust their parents. Thank you for writing this on point post. It's terribly saddening that an autistic person doesn't even have to speak a word before being single out as different, and oftentimes ridiculed. I have read up on successful inclusive schools, so I don't think it's naive to hope for autism acceptance. Like all social movements, it will require lots of work and persistence (and a little humour to get by). I will advocate for this cause until my very last breath. Further,law enforcement professionals are on the front lines of protect and serving the entire community..including our ever growing neurodiverse community. We are cheating them and our community by not seeing to it they are fully trained. Dennis Debbaut is a great voice in Autism Risk & Safety Management.